Holton 178. Serial number 5416XX. Brass with Nickel sheaths and slides.Fixed bell. Plays well in tune with a good sound throughout all ranges. It has a well-focused sound. 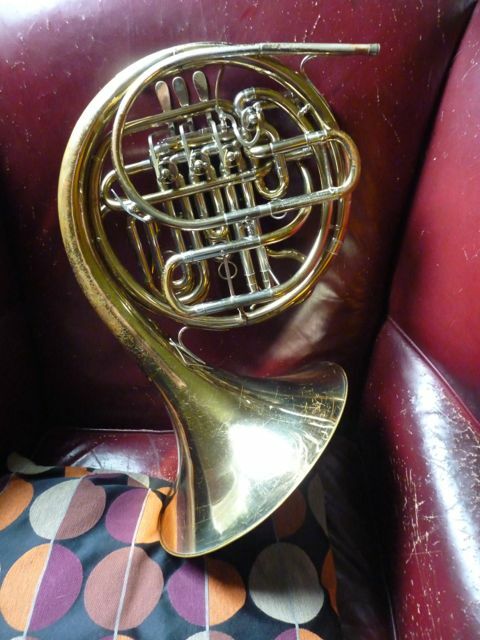 It is in solid playing condition, but somewhat cosmetically challenged, this is not a drum & bugle corps shiny marching horn! It has the factory water key. The valves have had a bearing adjustment job, they were cleaned, rotors and casings with a non-abrasive, citrus based cleaner, which dissolves crud build-up. All slides slide smoothly. Top and bottom bearings were adjusted and lapped to proper clearance- compression is now good, but not new horn good. Lacquer is about 63.456%. 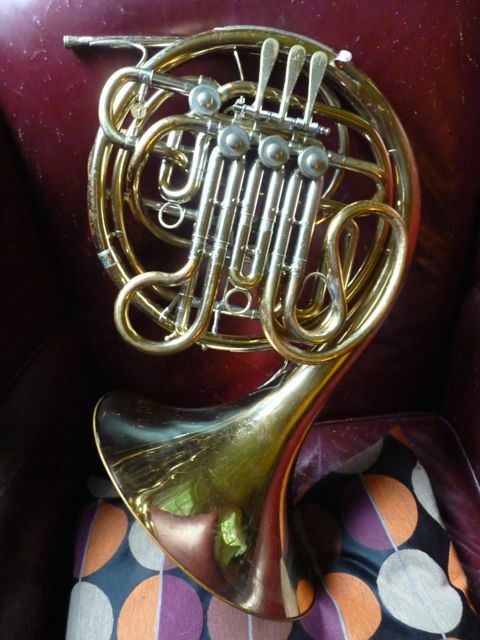 This is a good horn for a serious student/ re-emergent adult who is looking for a good playing horn at a reasonable price. 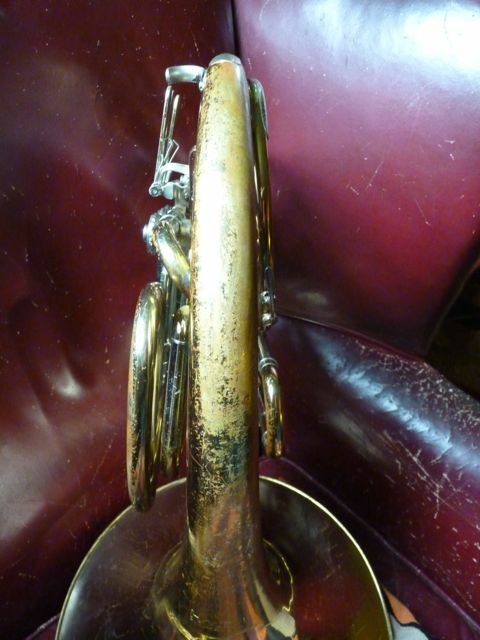 Shipped in an older Holton Case in useable condition, with a Holton MC mouthpiece. Email questions. Shipped in an 18 X 18 X 27 in box weighing 21 pounds.The cost is paid by the buyer. Domestic, standard parcel post. Cannot be shipped to countries that have a 2m/ 78″ girth + one length countries. Otherwise OK. Overseas, actual cost USPS Priority International.